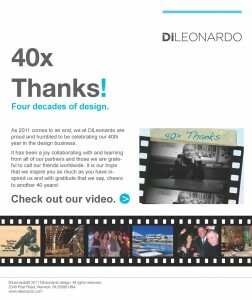 As 2011 comes to an end, we at DiLeonardo are proud and humbled to be celebrating our 40th year in the design business. It has been a joy collaborating with and learning from all of our partners and those we are grateful to call our friends worldwide. 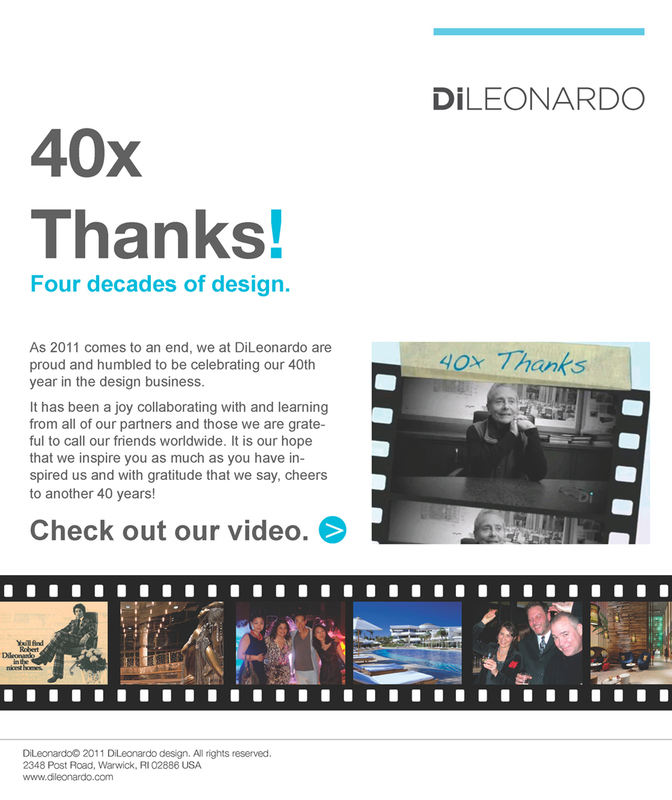 It is our hope that we inspire you as much as you have inspired us and with gratitude that we say, cheers to another 40 years!